I love receiving packages in the mail, they are like little gifts! ...even though most of them I have purchased for myself. I received two packages recently, one from a blog sale and the other was an awesome product sample. I swatched two coats for each below. 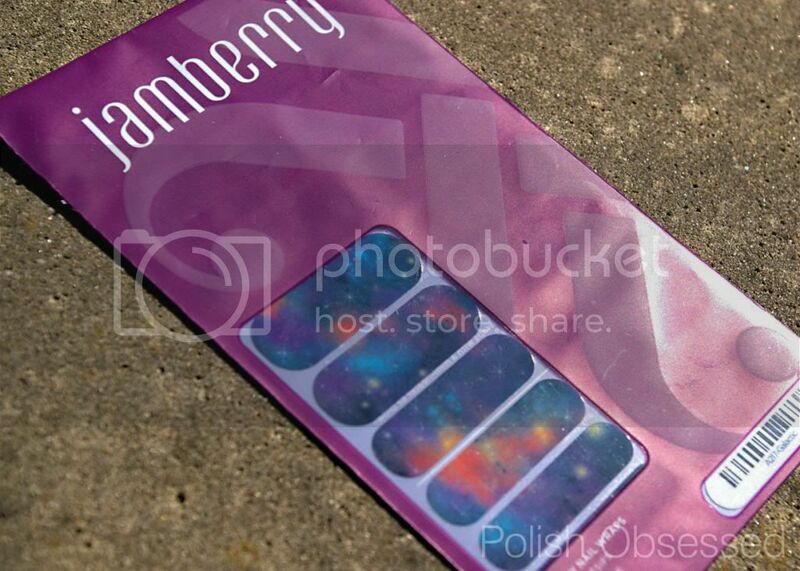 Another package I received in the mail was from Jamberry Nails. They provided me with some fun patterned vinyl nail strips to try out along with a full set of space vinyl nail strips! I cannot wait to try these out. One thing I already like about these without even trying them is that the strips have enough length to easily be used for two full manis. Plus, since they are vinyl they won't dry out once opened if you want to save some strips for a later mani or future accent nail! Stay tuned for a review of these strips coming soon!